He looks like a weasel. He was. 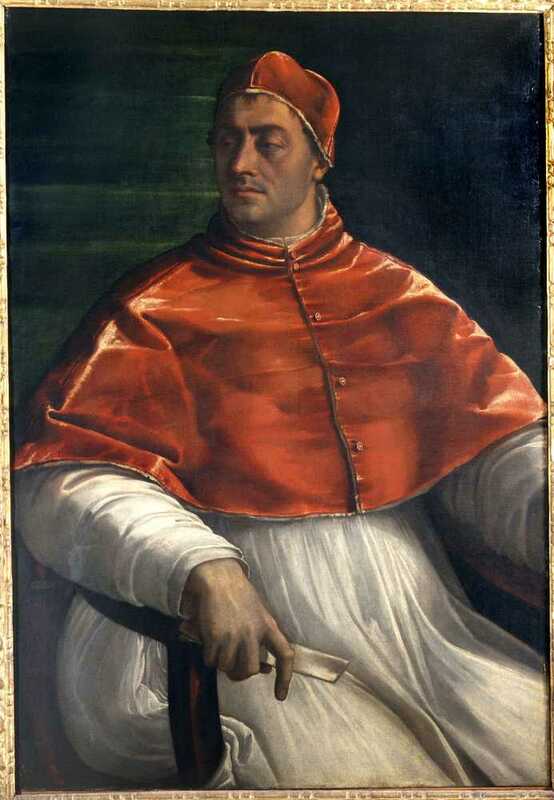 His name was then linked with a conspiracy to overthrow the Medici. It is not known if either Leo or Clement read the work but if they did it did neither any good and more importantly for the Church. Their pontificates were disasters in all senses and all ways. "For many, his teaching adopts the stance of immoralism or, at least, amoralism. The most extreme versions of this reading find Machiavelli to be a “teacher of evil,” in the famous words of Leo Strauss (1958) on the grounds that he counsels leaders to avoid the common values of justice, mercy, temperance, wisdom, and love of their people in preference to the use of cruelty, violence, fear, and deception. A more moderate school of thought, associated with the name of Benedetto Croce (1925), views Machiavelli as simply a “realist” or a “pragmatist” advocating the suspension of commonplace ethics in matters of politics. Moral values have no place in the sorts of decisions that political leaders must make, and it is a category error of the gravest sort to think otherwise. Weaker still is the claim pioneered by Ernst Cassirer (1946) that Machiavelli simply adopts the stance of a scientist—a kind of “Galileo of politics”—in distinguishing between the “facts” of political life and the “values” of moral judgment. Thus, Machiavelli lays claim to the mantle of the founder of “modern” political science, in contrast with Aristotle's classical norm-laden vision of a political science of virtue. Perhaps the mildest version of the amoral hypothesis has been proposed by Quentin Skinner (1978), who claims that the ruler's commission of acts deemed vicious by convention is a “last best” option. 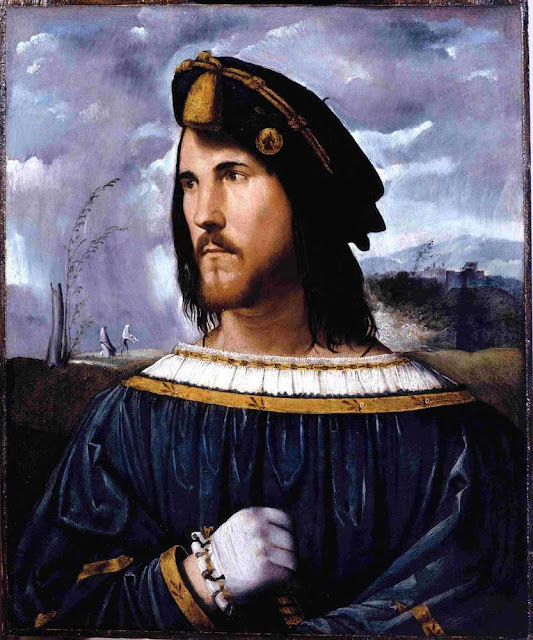 Concentrating on the claim in The Prince that a head of state ought to do good if he can, but must be prepared to commit evil if he must (Machiavelli 1965, 58), Skinner argues that Machiavelli prefers conformity to moral virtue ceteris paribus." 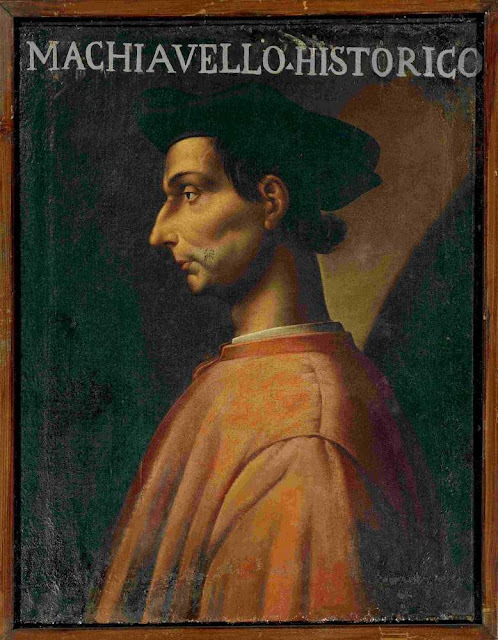 ""Machiavelli is the only political thinker whose name has come into common use for designating a kind of politics, which exists and will continue to exist independently of his influence, a politics guided exclusively by considerations of expediency, which uses all means, fair or foul, iron or poison, for achieving its ends - its end being the aggrandizement of one's country or fatherland - but also using the fatherland in the service of the self-aggrandizement of the politician or statesman or one's party." Italian-American mobsters John Gotti and Roy DeMeo would regularly quote The Prince and consider it to be the "Mafia Bible". The author has said of his work that his volumes are "about America in the second half of the 20th century and how political power changed. It's about the workings of political power." Quid hoc aeternitatem? St Ignatius teaches. What is this for eternity? Our judgment, our opinion should be just that. In this regard, the Pope recalled the figure of Machiavelli's Prince. This famous character had thought it all, done it all, calculated it all, except for one thing, which was that he had to die. And his life was, as you know, quickly cut off, and the great idea to create a political force and a national expression outside of history, outside of time went up in smoke." "Questa meditazione, sì, è conturbante se si pone mente alla sua oscurità e alla sua fatalità, riferite alla nostra vita personale, al nostro destino, alla nostra sorte, che nel tempo trova la sua fortuna e la sua rovina (cfr. MACHIAVELLI, c. VII, circa il suo Principe, che a tutto aveva pensato, fuorché al caso ch’egli doveva inaspettatamente morire)." "Then he told them a parable. "There was a rich man whose land produced a bountiful harvest. 19 and I shall say to myself, "Now as for you, you have so many good things stored up for many years, rest, eat, drink, be merry!" 21 Thus will it be for the one who stores up treasure for himself but is not rich in what matters to God." 22 He said to (his) disciples, "Therefore I tell you, do not worry about your life and what you will eat, or about your body and what you will wear. 23 For life is more than food and the body more than clothing. 24 Notice the ravens: they do not sow or reap; they have neither storehouse nor barn, yet God feeds them. How much more important are you than birds! 25 Can any of you by worrying add a moment to your lifespan? "